In today’s world most of us have more than enough “things” to be happy—in fact we might find that we have too many things to really lead a happy, simple, spacious and mindful life. FCM members are invited to “simplify your life” in a manner that will be of benefit to others. FCM members may donate items needed for the furnishing of the house at 910 Lambright which was recently purchased by FCM. We are looking for the following (all “gently used”): twin beds, mattresses and sheets; bedside tables; couch; sitting chairs; coffee table; dining table and chairs; lamps; pots and pans; storage dishes. Please contact Angie Parrish to arrange for donation at parrish26@gmail.com . Donate clothing, books, household items and furniture that are in VERY GOOD condition (that is, nothing torn, soiled or worn) for a "sale" in the FCM Practice Center parking lot on Saturday, April 27. All are invited (including community neighbors) to come and buy the goods for a donation. All cash proceeds will be donated to Metropolitan Ministries. At the end of the event, any items not taken to new homes will be donated to the Salvation Army. 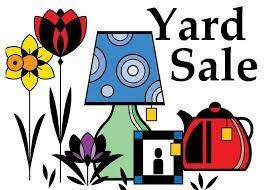 Please register if you would like to donate items for the yard sale, so we have a sense of how many are participating, and in case we need to contact you. Those who are donating items should arrive by 8:00 am Saturday, April 27 to help set up the donated items in the parking lot. The yard sale will be advertised for 9-11 am. Please plan to stay until 12:00 noon to help take down and clean up. Also note, donations to both causes will be accepted only from FCM members. Of course, non-members and friends may purchase items at the Yard Sale. For more information on the Yard Sale, please contact Charner at charnerreese@aol.com .